Hey everyone! It’s certainly been a hot minute since I’ve posted an entry on here. So much has happened and I thought it’d be cool to update you guys on some of the changes going on in my life both in and outside of the Michael Jackson fan community. First, I’d like to share some things about my most recent “Michael Jackson getaway”- I went to Paris! 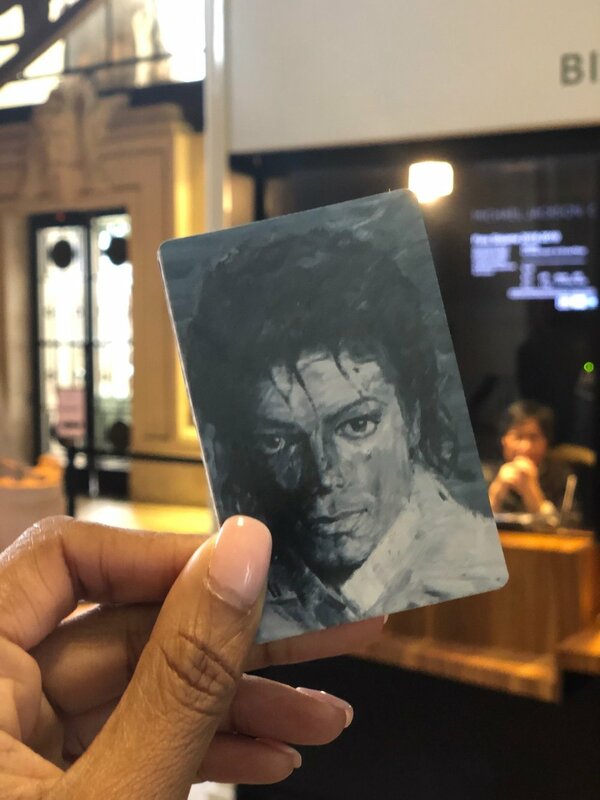 The trip was a group trip with several fan friends of mine and we made the trip to Paris, France to visit the Grand Palais museum for the “Michael Jackson: On The Wall” exhibition. Honestly, I’ve never been a fan of museums or art in general but, I knew anything Michael Jackson related- I would LOVE! I know a lot of people might think it’s a weird thing for me to say but, Michael has been my inspiration when it comes to exploring the world and learning what different places have to offer. The exhibit was the catalyst through which I was able to see one of the most beautiful cities on earth, and I’m not ashamed of that at all! This was super cool to see! One of the artists made the work above, the ABC’s of Michael Jackson! I purchased a postcard of it to go up on my wall. Another highlight of my trip was seeing the mural below, done by artist Jodi Bona. I love seeing art of Michael in different cities. Can’t wait for my next trip!